Should I Pay an Annual Fee On a Credit Card? There are many credit cards out there, all offering a little something different to their consumers. You have cards that earn cash back or miles, rewarding cardholders for their spending habits. 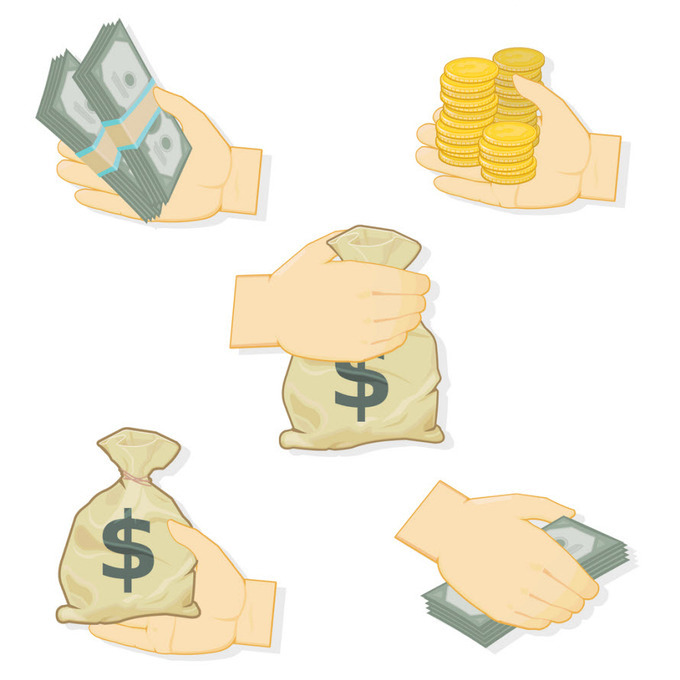 Some give 0% APR on purchases and/or balance transfers for a period of time, allowing consumers to clear other debts or make big purchases without the penalty of interest. Others have benefits like concierge services, travel protection, complimentary hotel stays, or free checked bags on flights. The best cards may even offer all of that! Well, the best credit cards on the market – the ones that come with the greatest benefits and rewards, and are most in demand – are often accompanied by annual fees. Ranging from $39 a year to a whopping $550, annual fees can be a deterrent for many applicants. While they are occasionally waived the first year, it’s up to consumers to decide if this fee will be worth it in the long run. Here are four questions to ask yourself before applying for, and opening, a credit card account that requires an annual fee. 1. Will I make more than I spend on the fee? The very first question you should ask yourself before applying for one of these cards is whether or not the benefits will pay for themselves, especially in the form of cash back rewards. 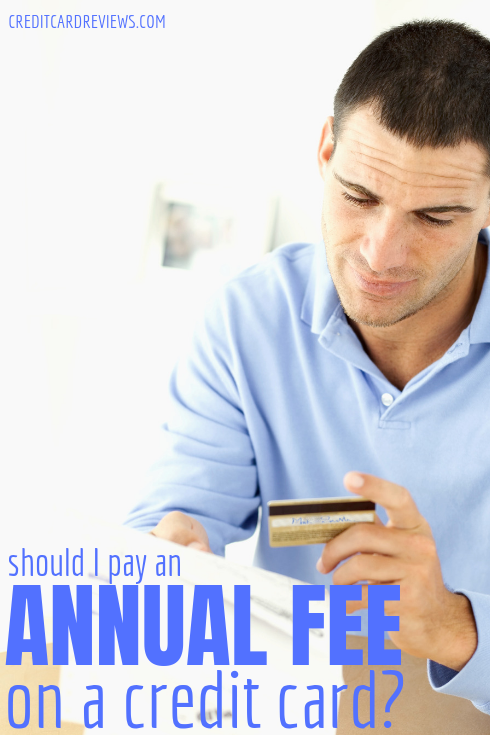 If the answer is yes, an annual fee may be well worth the expense to you. For example, take the Blue Cash Preferred® Card from American Express. It comes with a $95 annual fee (not waived the first year), but for someone like me, it’s well worth the expense. The card offers 6% cash back on up to $6,000 in groceries -- and I spend well over that. This higher-than-usual percentage means I’ll get $360 in cash back from groceries alone. Then, factor in the 3% cash back on gas and 1% cash back everywhere else, and I will be raking it in. To me, that’s worth the $95 annual fee. Maybe you don’t have two boys (like me) and the bulk of your budget isn’t spent on groceries. If that’s the case, you’ll want to look for a card that better suits your individual spending style. Perhaps you travel to exciting places and eat at new restaurants. If that’s the case, the U.S. Bank FlexPerks® American Express® Card might be right up your alley. It earns 3 points for every dollar spent at restaurants and 2 points for airlines and gas stations (plus 1 point everywhere else). While it does come with an $85 annual fee, your jetsetting ways might easily compensate for that in the form of cash back. If you’re not sure which card would be best suited for your own spending habits, there’s a very easy way to check. Consumer Reports released a really handy calculator last year, called the Credit Card Adviser Comparison Tool. All you have to do is enter your average spending in the categories shown, and it will show you which cash back card will earn you the most over a period of time. It already takes into account the annual fees, too, making the process incredibly easy. 2. Will I use the rest of the benefits? If you’re spending money on a cash back card, you’re automatically using that benefit. But what about everything else the card offers? Before you lock in that next piece of plastic, be sure that you’ll actually utilize a good portion of the perks that they’re offering – otherwise, your annual fee might be better served elsewhere. So, imagine you’re signing up for a card with 2% cash back across the board. This is a great percentage, so well done. However, one of the other big perks of this card is that it includes free insurance on rental cars. Well, what if you never really travel, or drive your own vehicle when you do? This big perk will go unused. It’s not such a huge issue if you’re earning enough cash back to cover the annual fee, but perhaps you could get a better deal elsewhere, with another card. Instead, look around for a 2% cash back card that offers something you will use. Maybe you’d rather have a complimentary concierge service. Or perhaps you’d do better finding a 2% card that also offers a hefty sign-up bonus. Be sure to factor in the cost of these services, as well. Getting two free checked bags on a flight sounds wonderful, but what if you only fly once a year and the card’s annual fee is $95? You could actually pay out of pocket to check those bags for less than the fee of the card. No matter what, be sure you’ll actually use a fair portion of what the card is offering… and that you couldn’t purchase those perks for less on your own. 3. Are the perks only temporary (or revolving)? Getting 5% cash back on all Amazon purchases sounds wonderful, until you realize that this cash back is on a quarterly calendar. Or perhaps the card is offering 3% cash back across the board, but it’s only for the first year (when it drops to 2%). Be sure to read the fine print before signing up, and ensure that the benefits drawing you in aren’t temporary or revolving. If they are, you might not be getting as much out of the card as you thought, and the annual fee could be an unnecessary expense. 4. Is an annual fee necessary, based on my credit? While annual fees are meant to make certain credit cards more exclusive, such as the $550 fee of the Platinum Card® from American Express, others exist for the opposite reason. If you have a lower credit score or a poor history, you may not be able to qualify for a mid-range credit card… let alone one of the more desirable brands. In this case, you might be forced to pay an annual fee for a secured card. This reduces risk for the issuer, and provides them incentive to open an account for you, even with a poor credit score. In this case, it may very well be worth paying the fee – usually around $35 – in order to build or repair your history. So, is an annual fee worth it? As with many credit-related questions, the answer is: it depends. You’ll need to ask yourself whether you will spend enough on a cash back card to compensate for an annual fee. If so, go for it! Will you also utilize the other benefits that the card offers, or let them go to waste? If the latter, perhaps you could look around a bit first and see if you could get the same cash back, but with more applicable perks, elsewhere. Having an annual fee forces you to take advantage of your card benefits, in order to make it worthwhile. Luckily, the cards with annual fees are often the ones with the greatest perks, so the chances of coming out ahead are definitely in your favor.